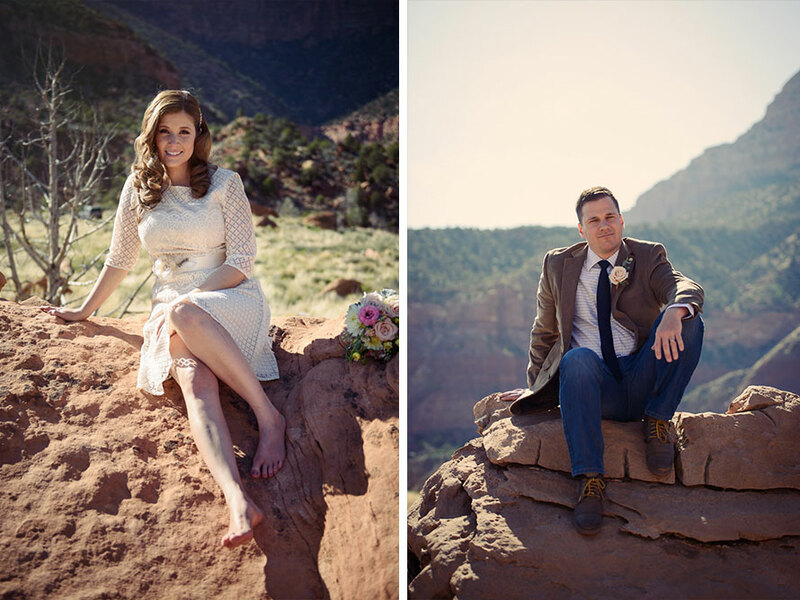 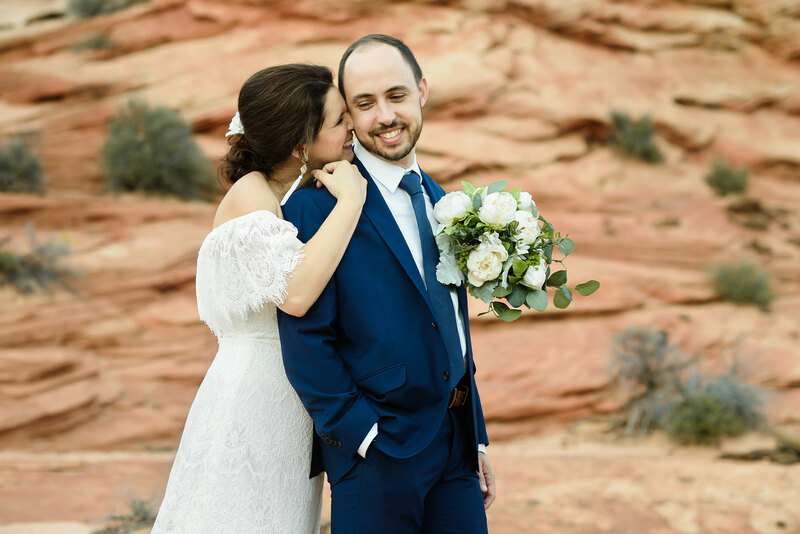 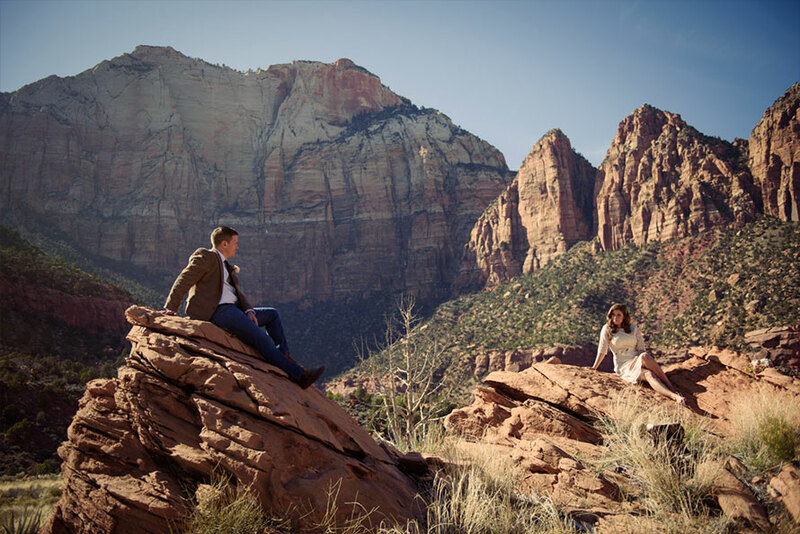 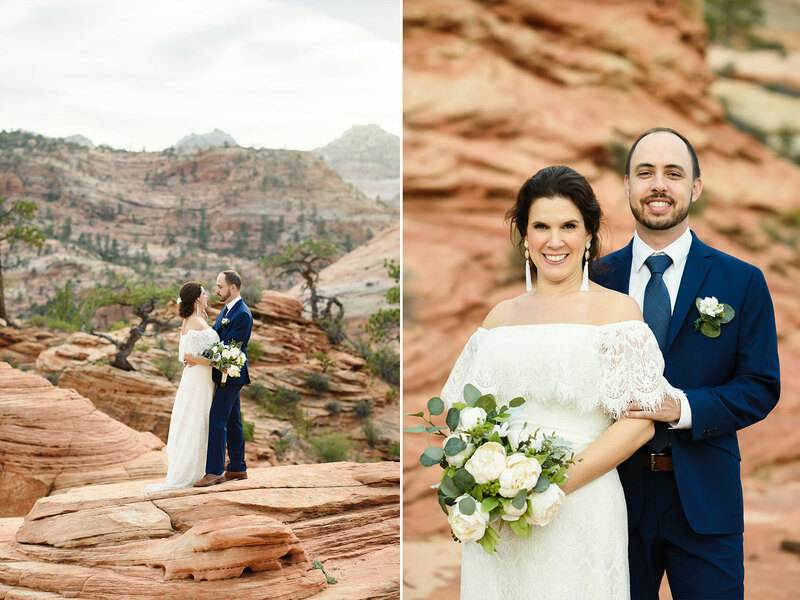 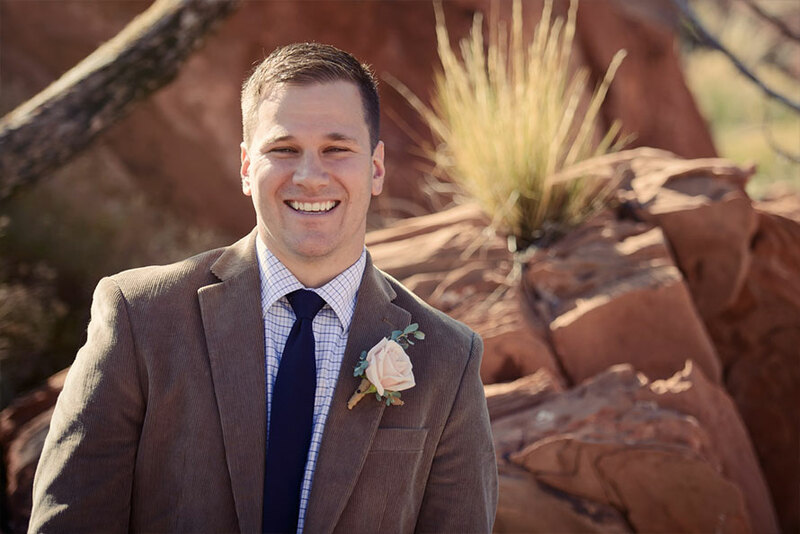 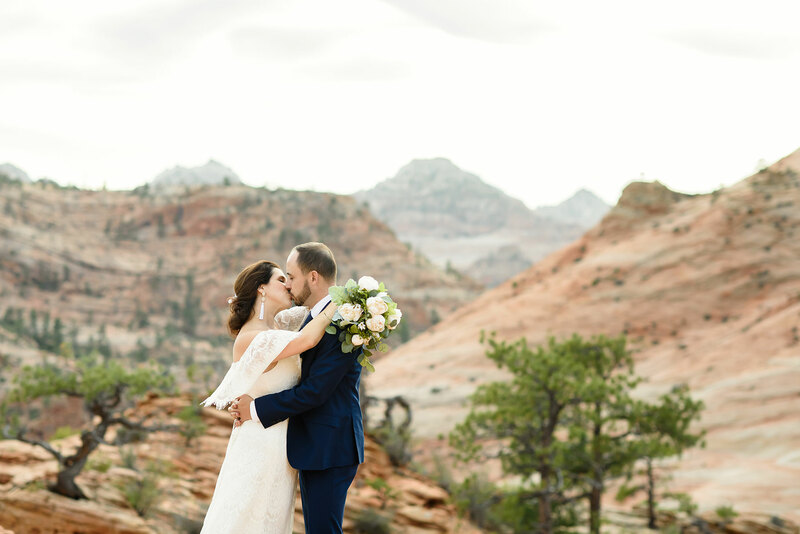 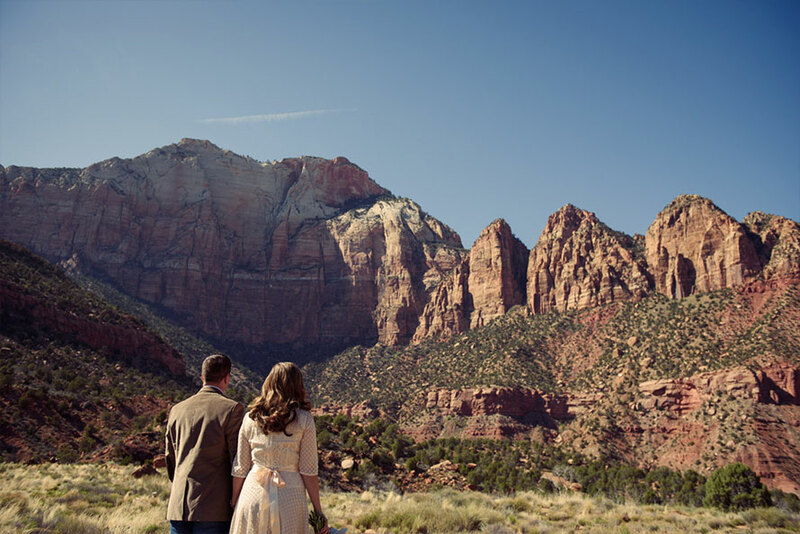 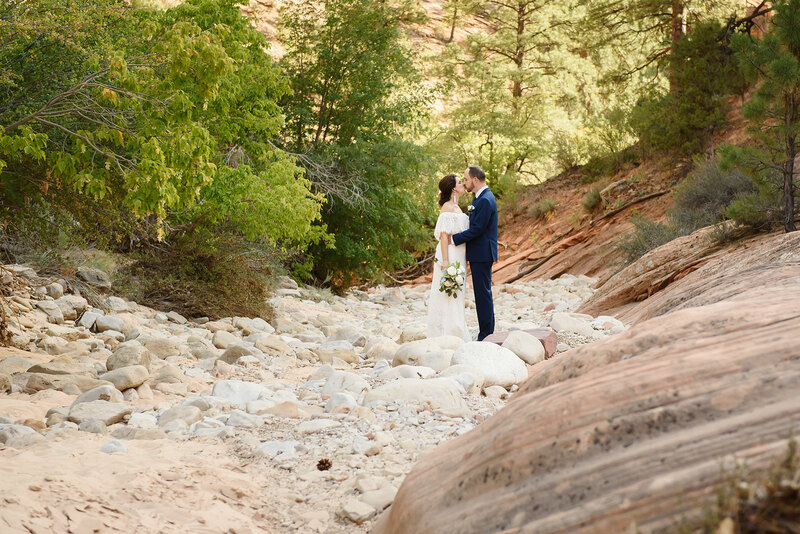 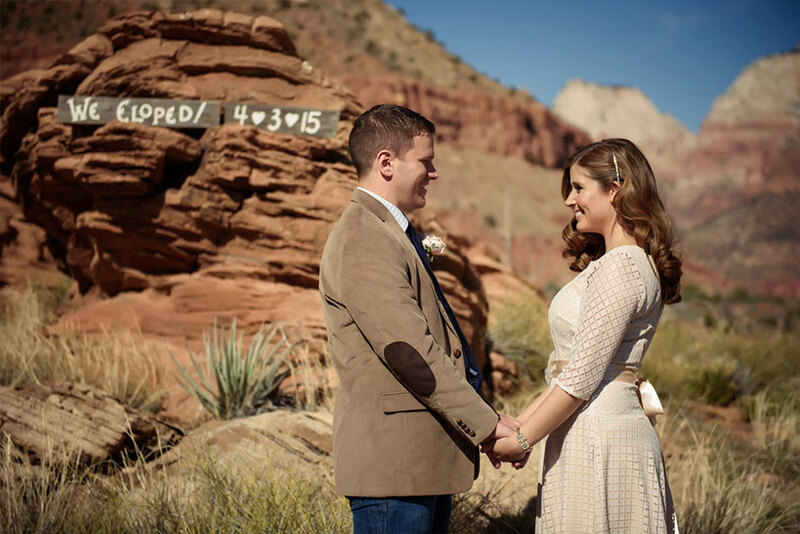 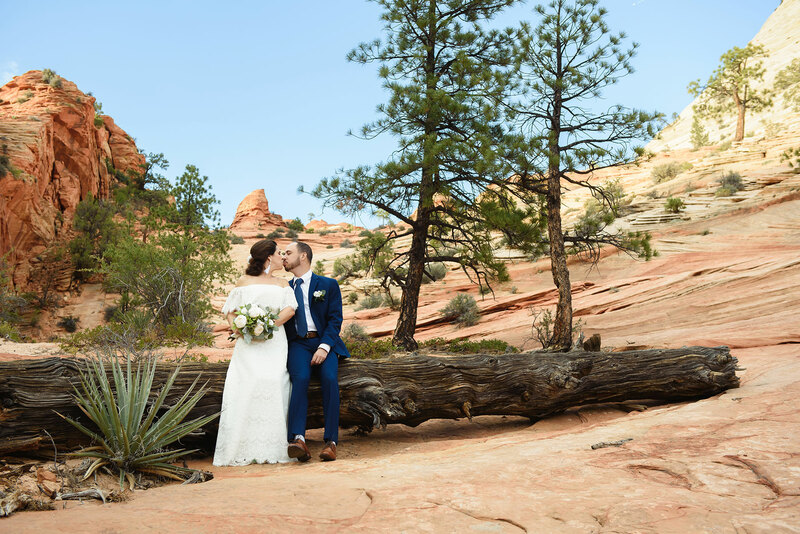 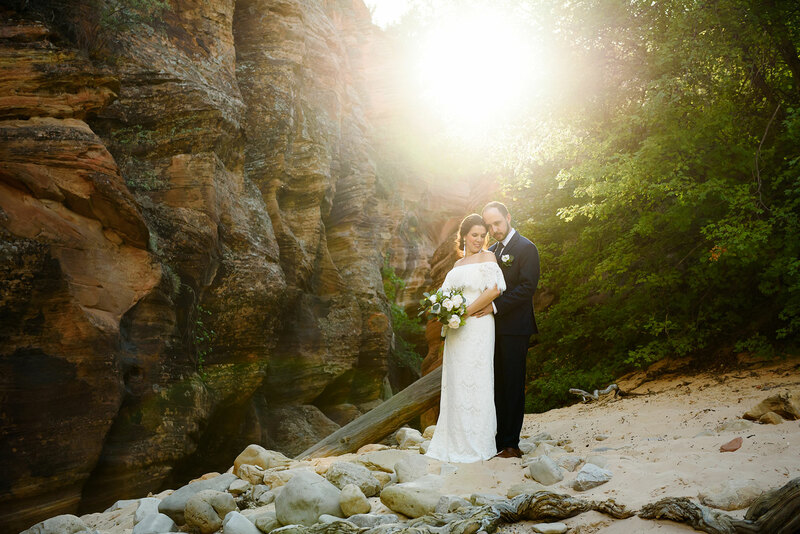 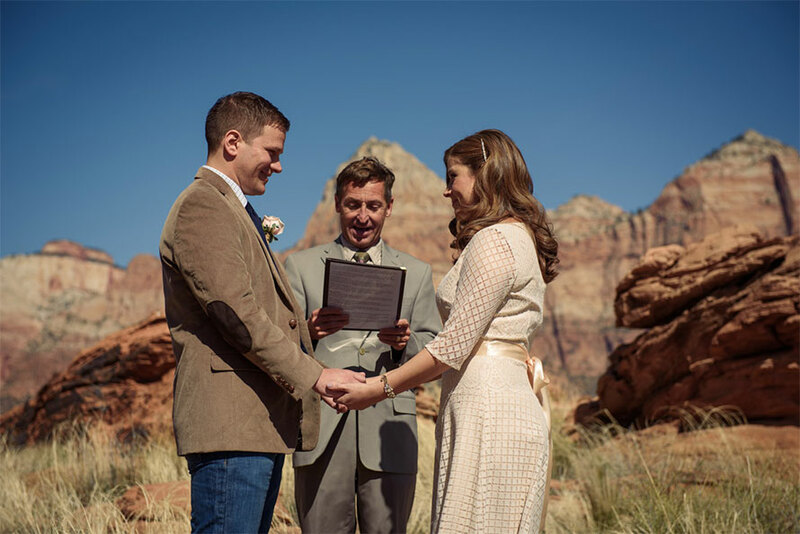 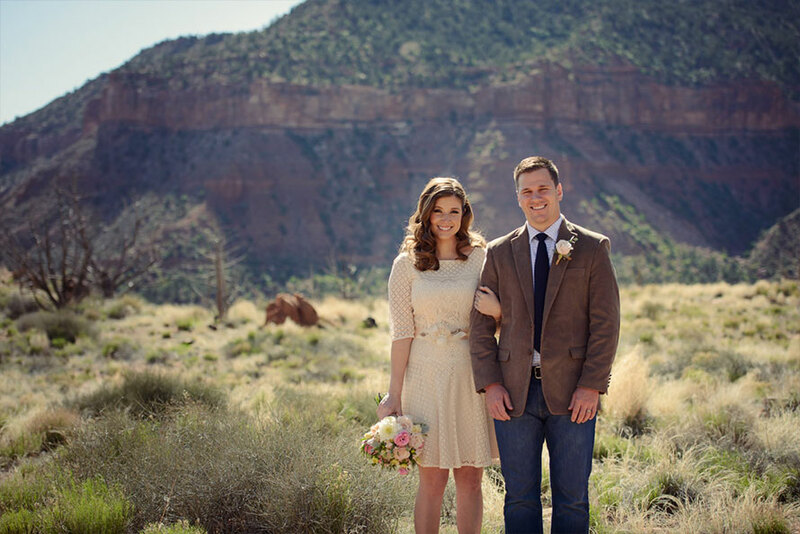 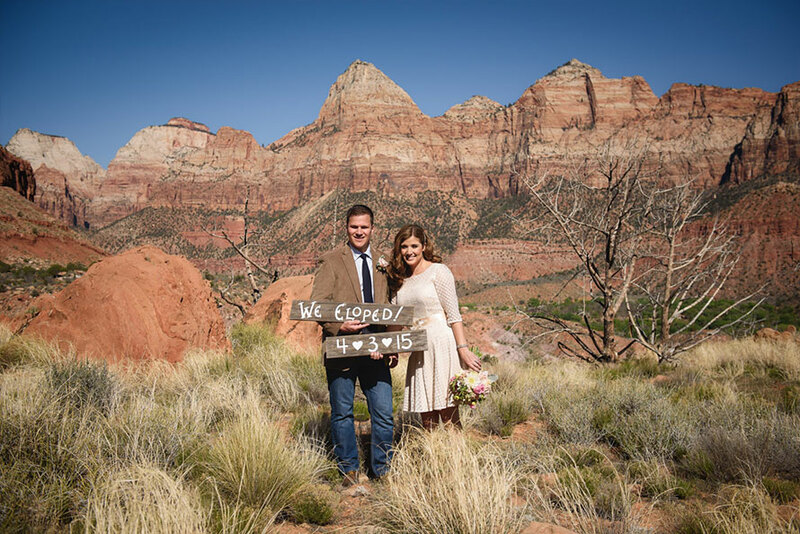 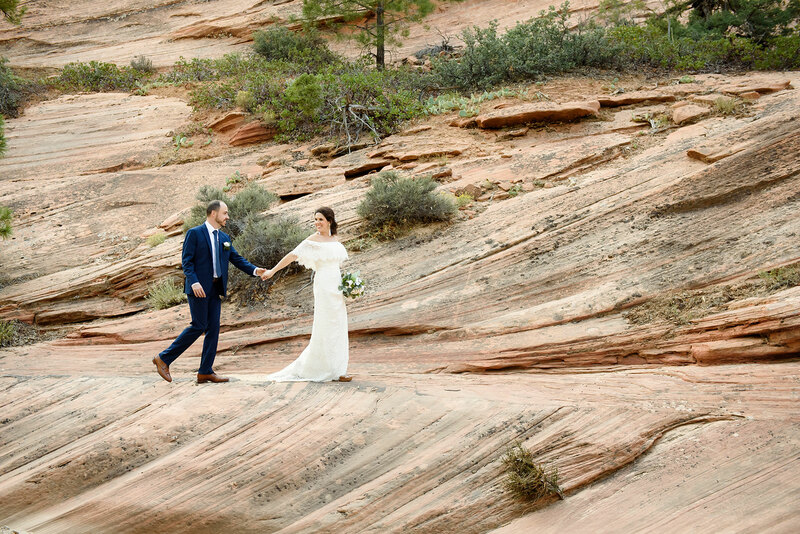 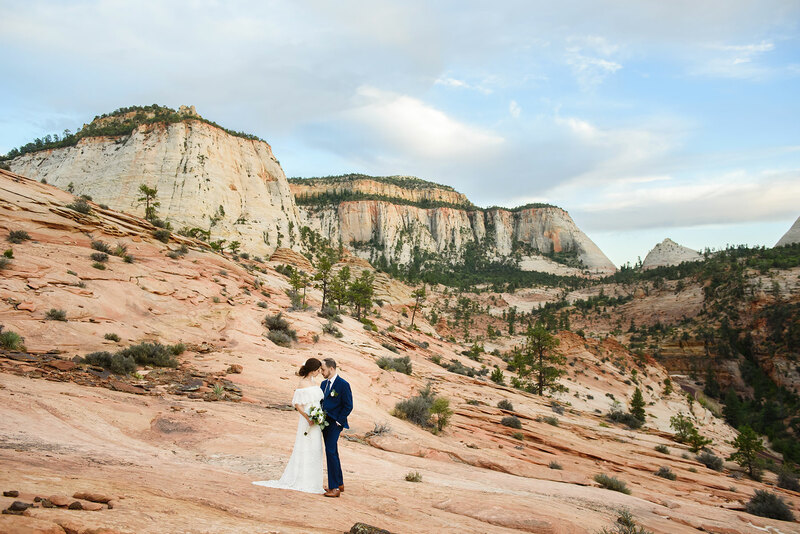 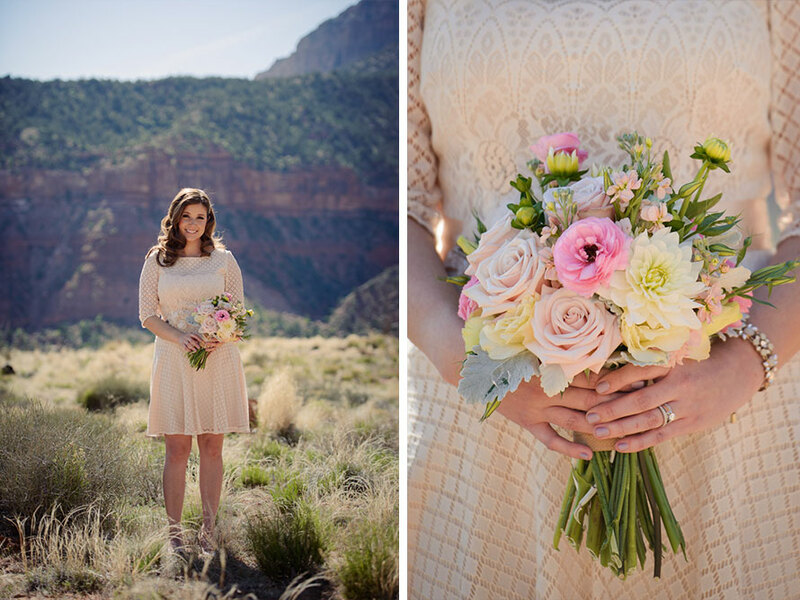 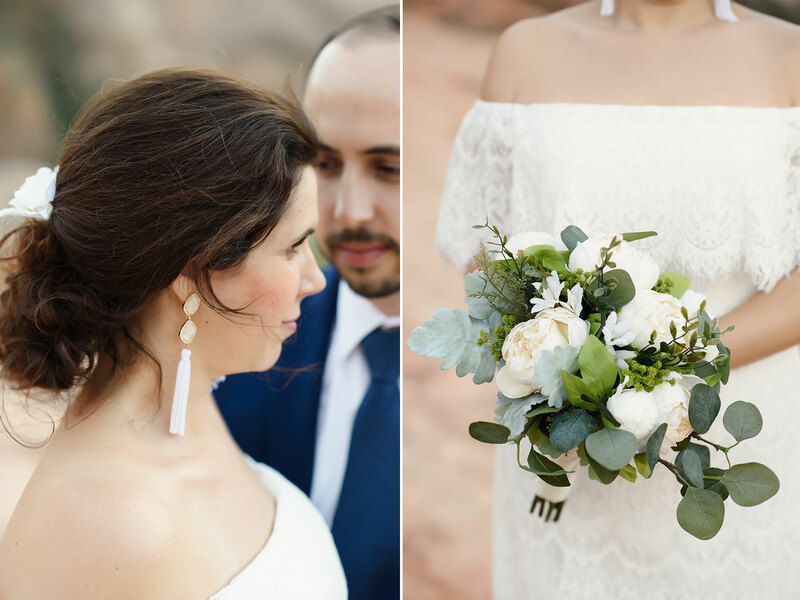 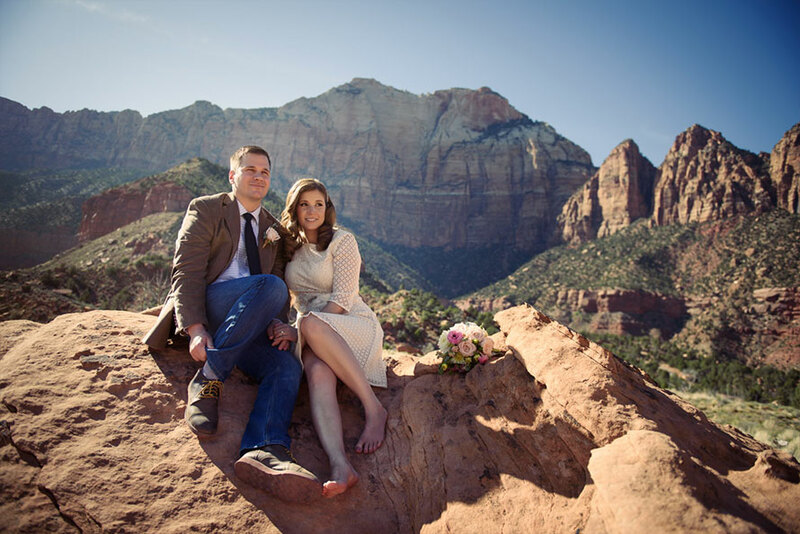 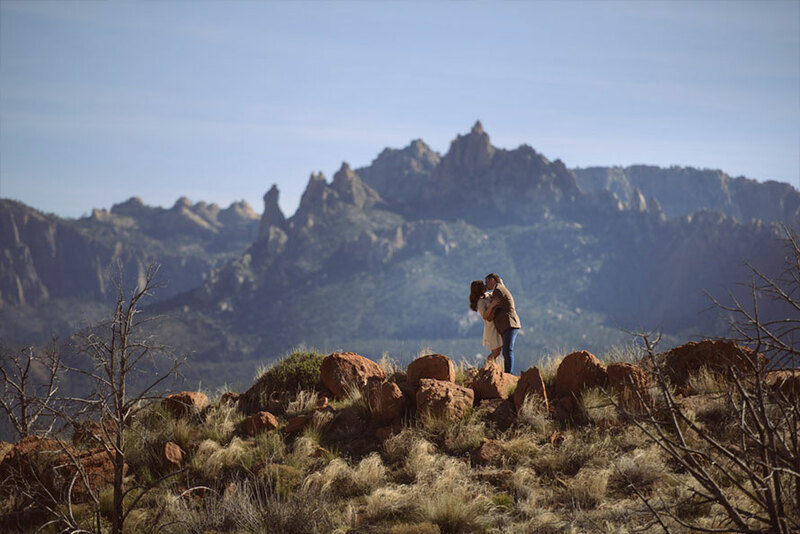 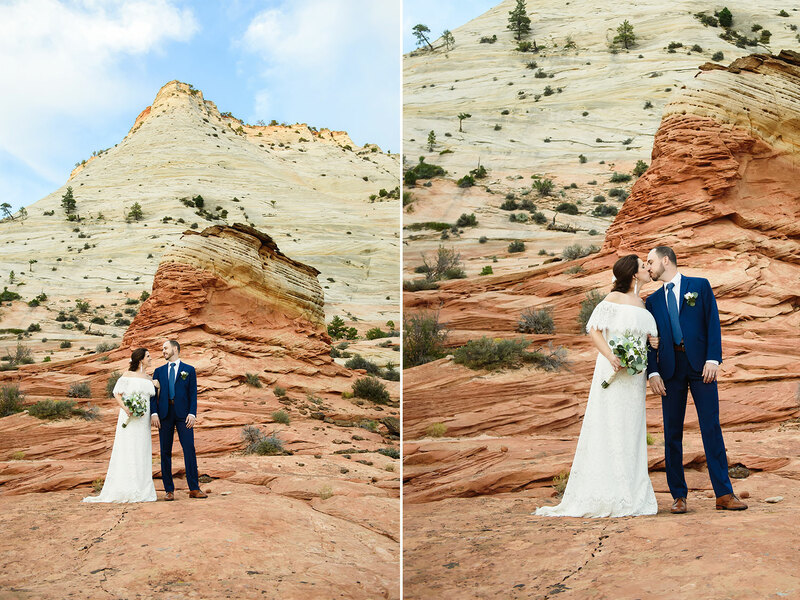 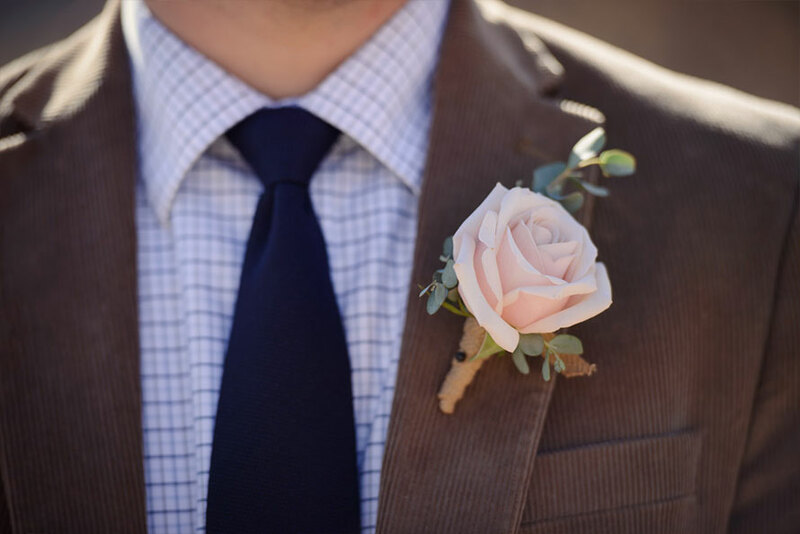 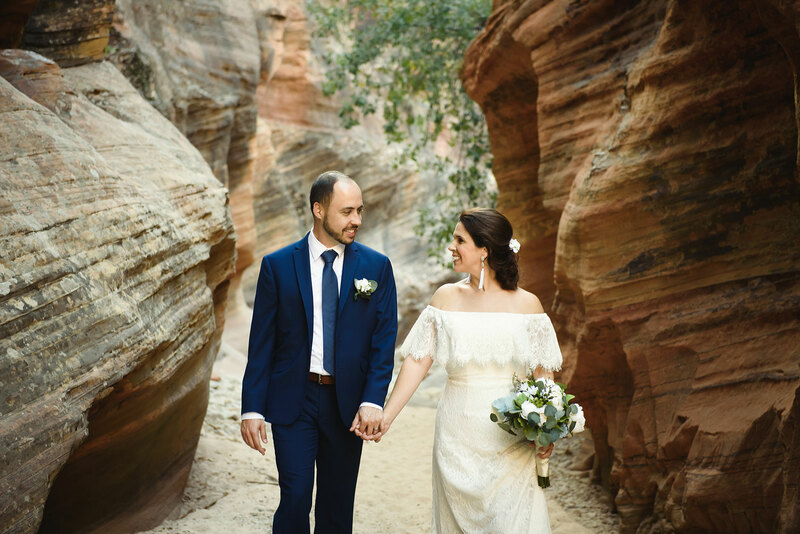 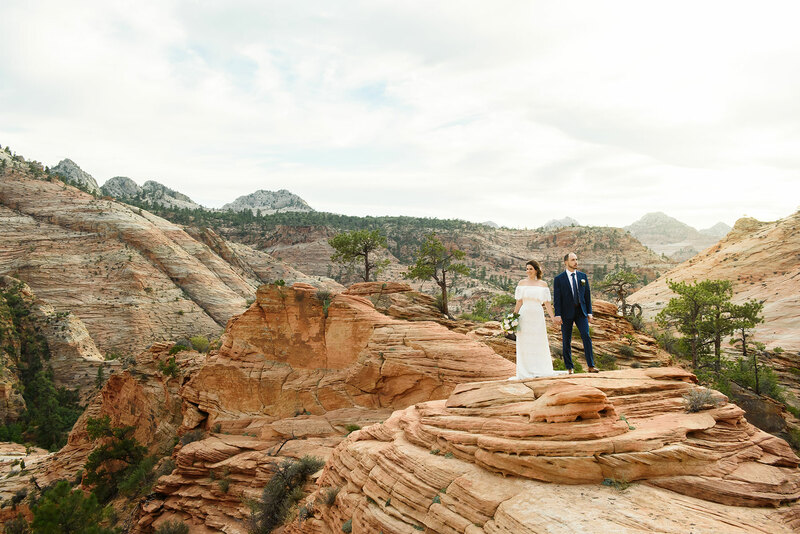 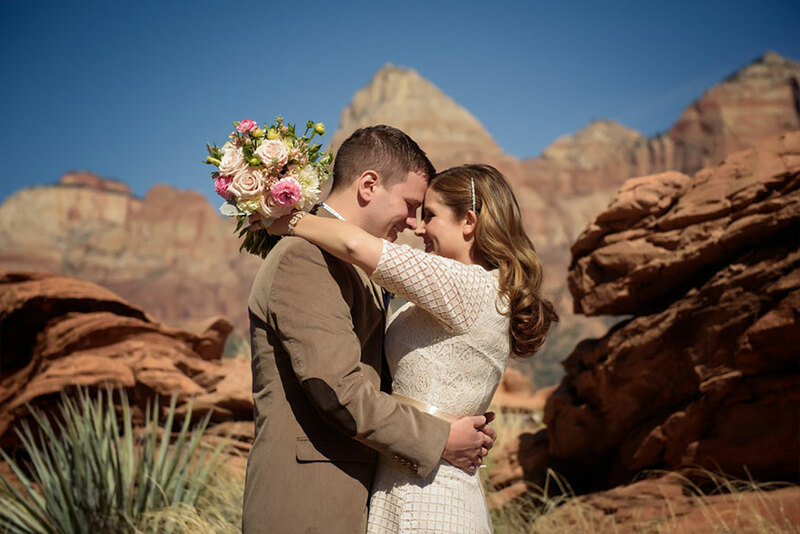 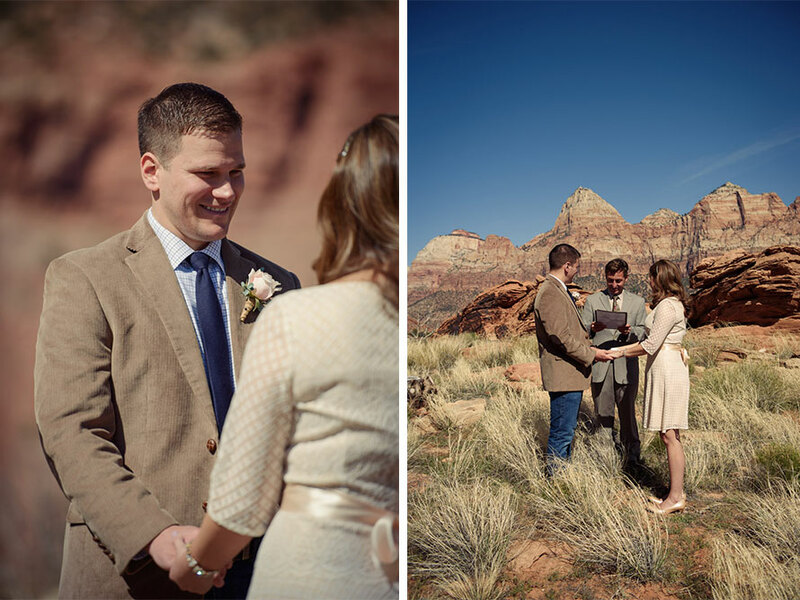 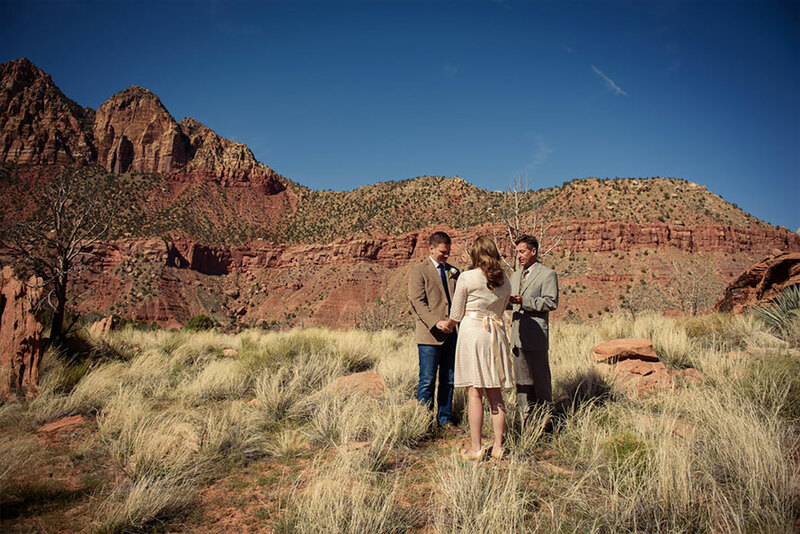 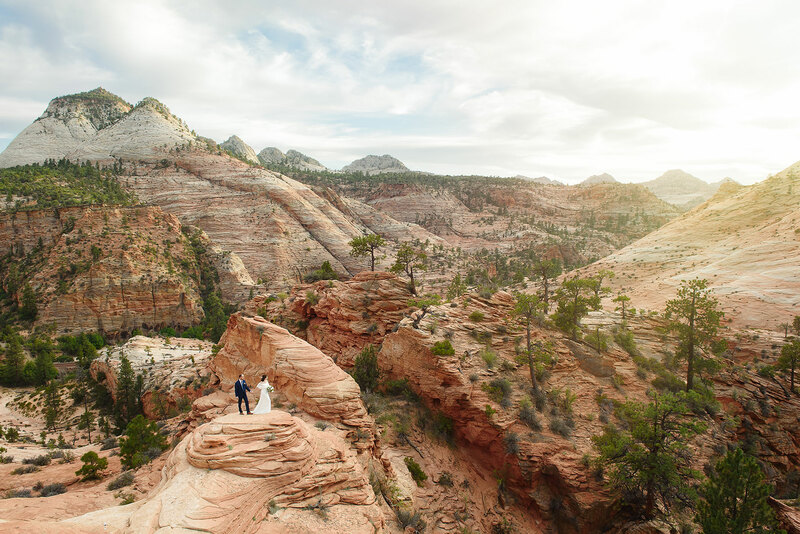 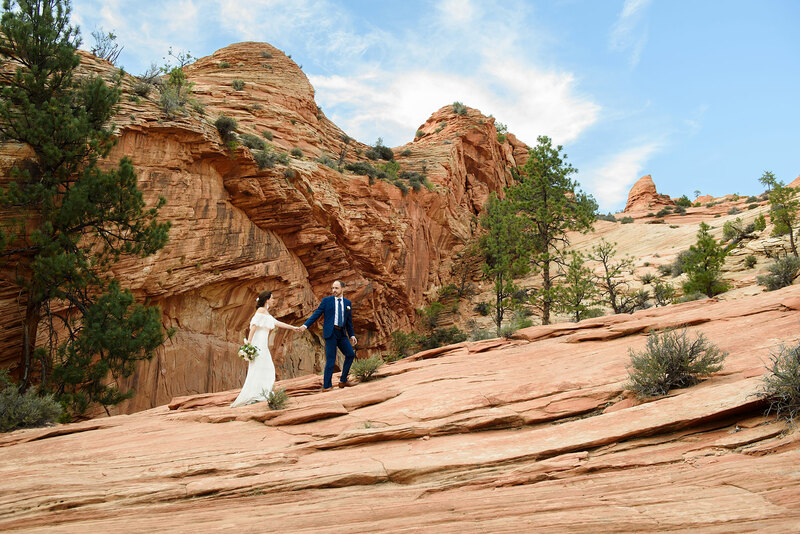 Juhee & Evan traveled all the way from Idaho to have their wedding in Zion National Park. 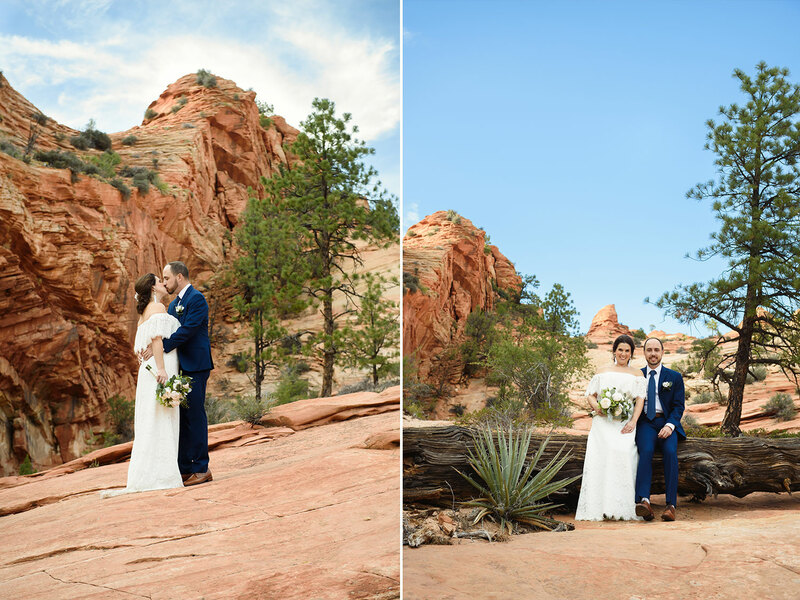 We lucked out with amazing lighting, we had beautiful cloud cover and to top it off we got a little rain at the end of the session which made for some awesome shots. 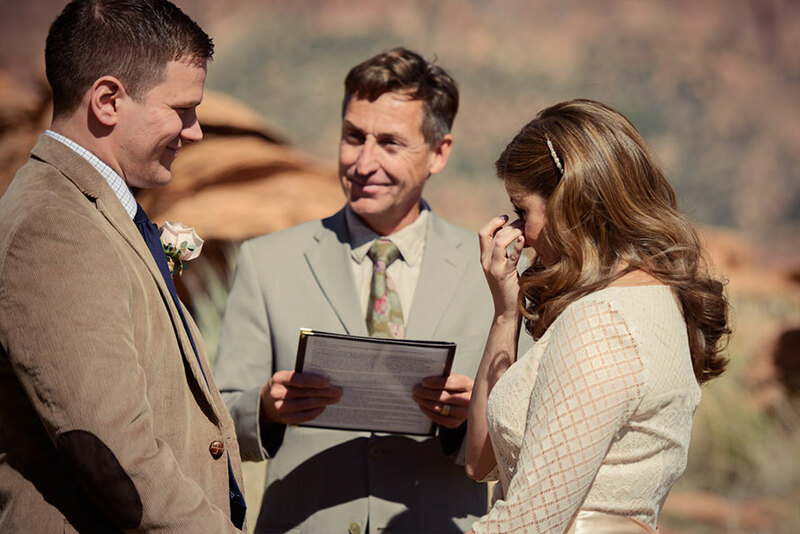 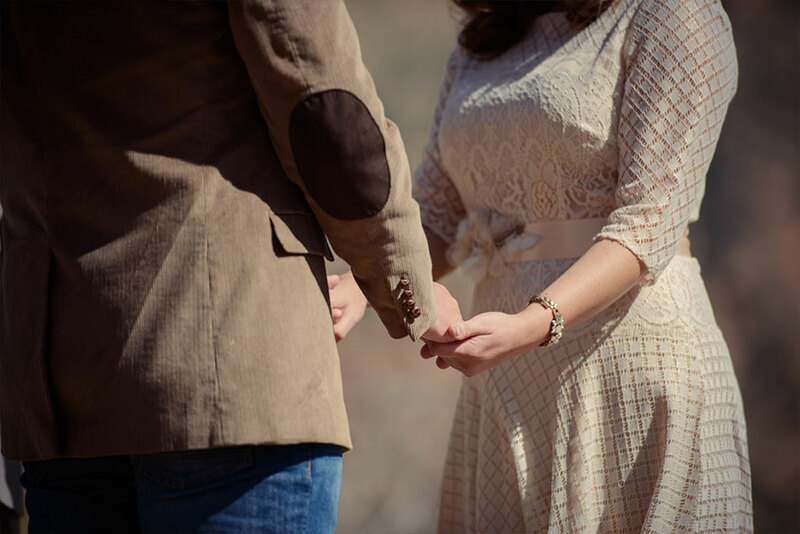 They rented a cabin at Ponderosa Resort and all their family and friends were there to witnessed them exchange their vows. 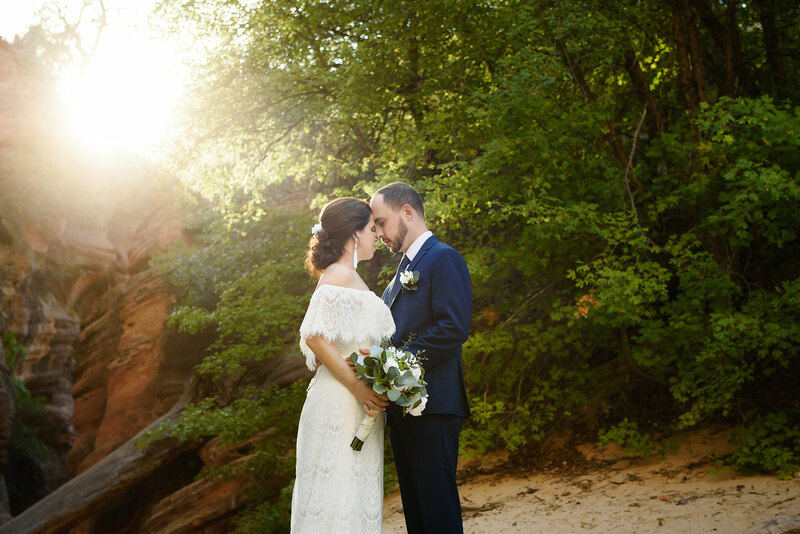 It was such a beautiful day and I’m so lucky I got to be a part of it. 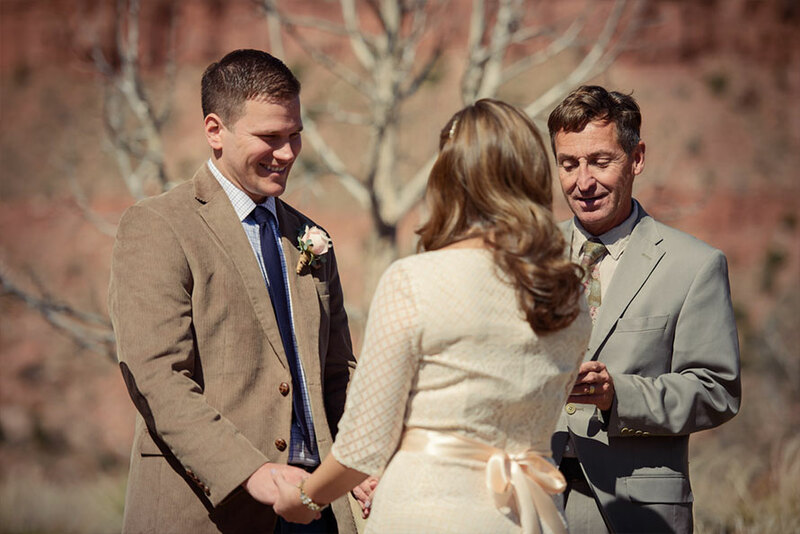 I met Janice, Nate and the officiator Mark at the Flanigan’s Inn in Springdale. 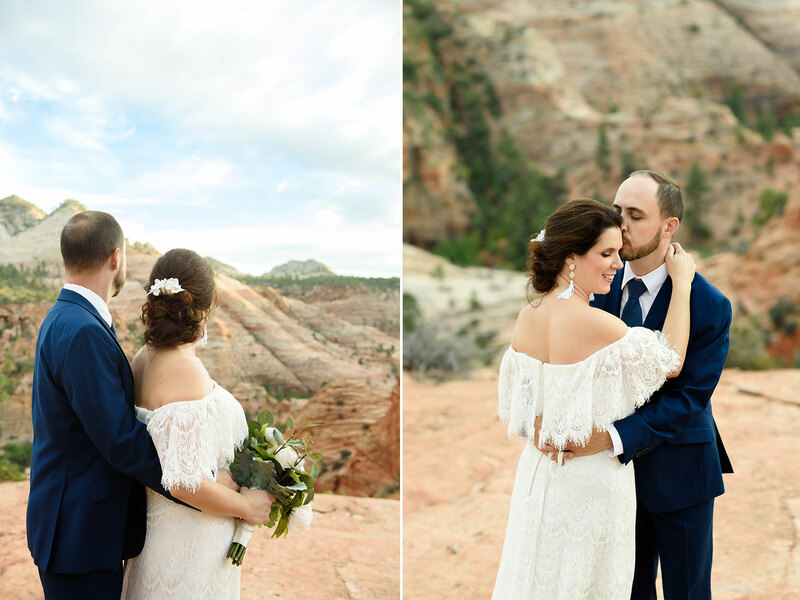 We drove up to this epic location together overlooking Zion National Park. 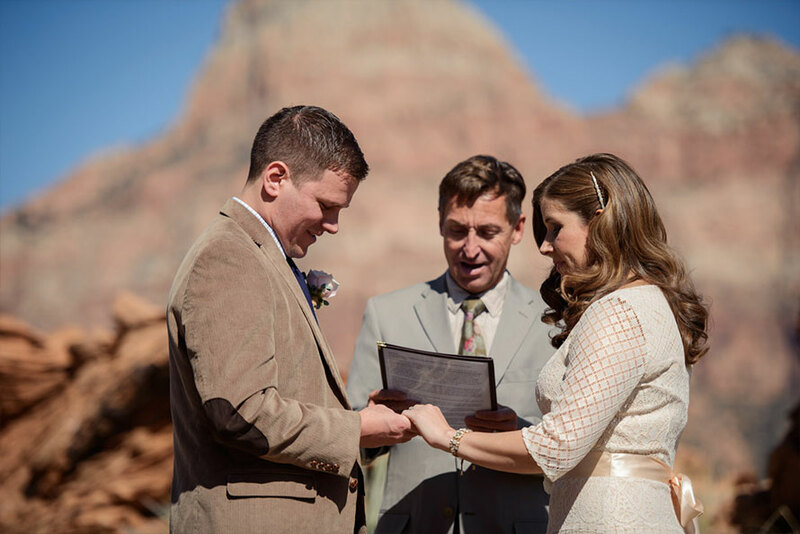 The ceremony was so beautiful. 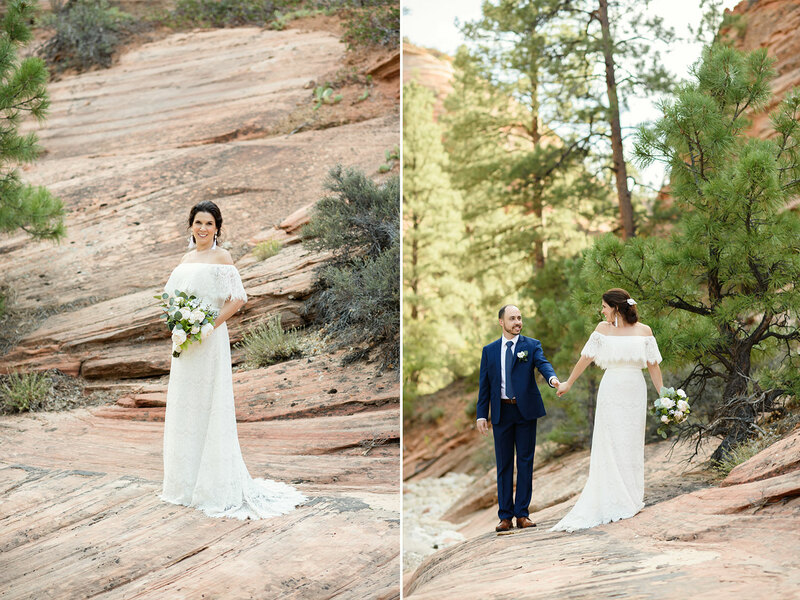 It was truly an amazing experience. 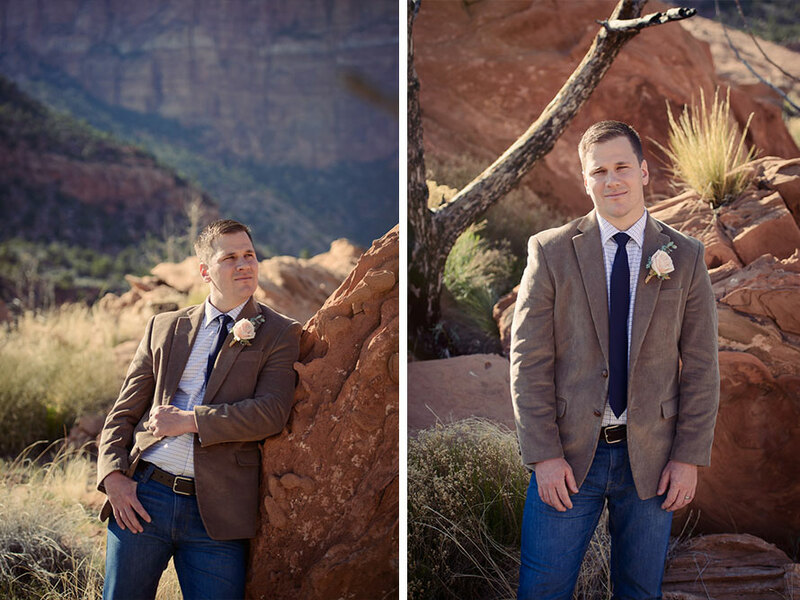 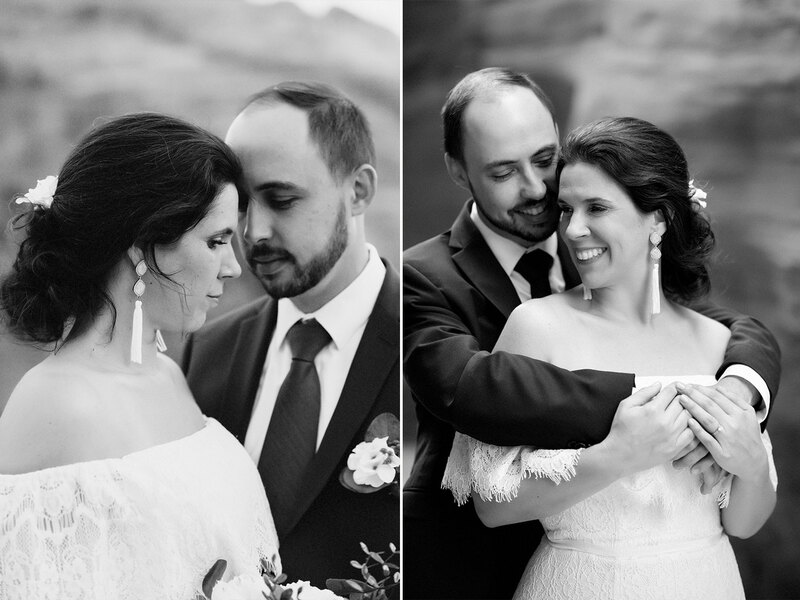 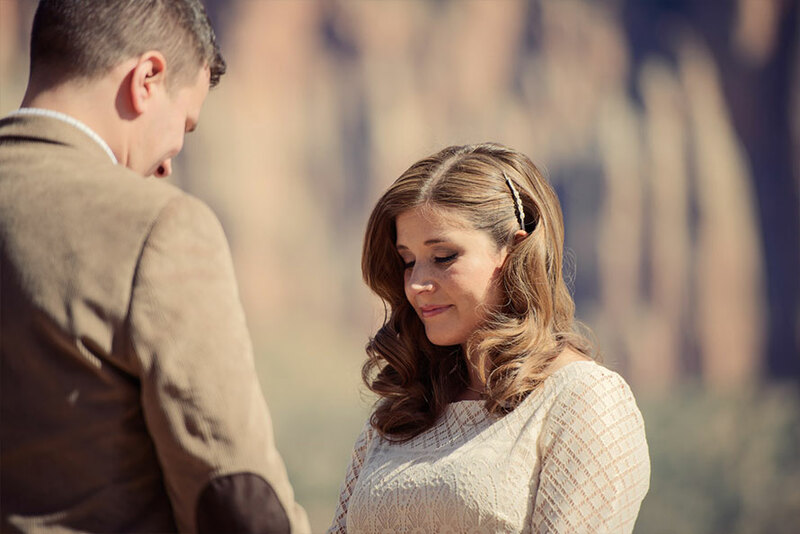 I love how Janice & Nate’s photos turned out, I love the harsh sun, I love the warm tones of the desert. 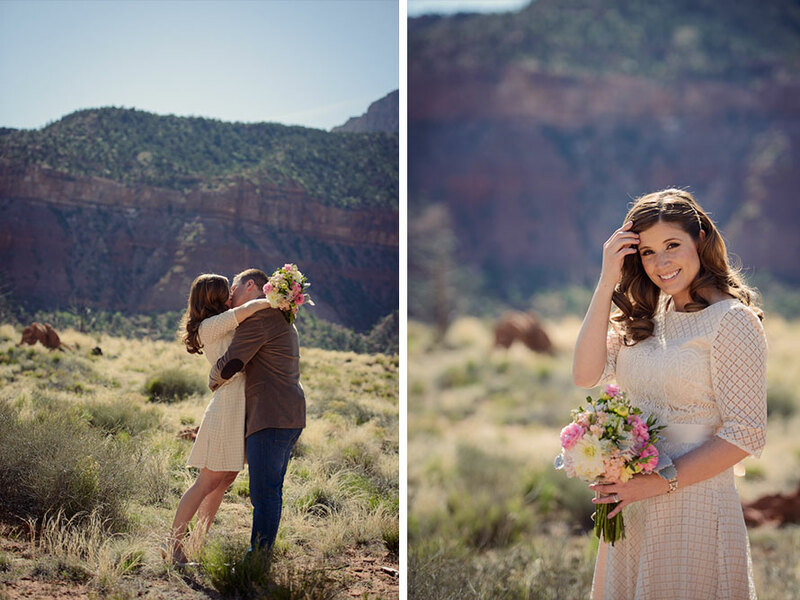 So glad I got to be a part of this wedding and I’m hoping to photograph many more Zion elopements in the future.